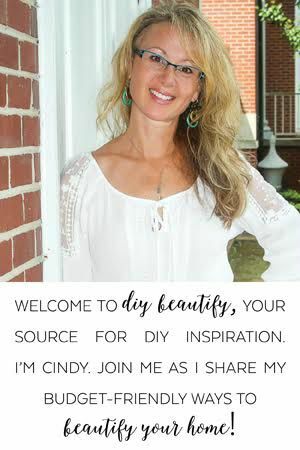 If you're reading diy beautify, chances are you love farmhouse style as much as I do. Channel your inner Joanna Gaines for a minute, and think about the lights you currently have in your home. Do you love them? Do they suit the style you are trying to embrace? 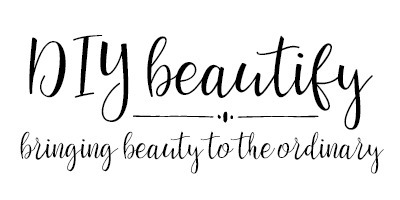 If not, how would you love to win a fabulous new light?! Keep reading for more details about the giveaway! Remember that episode of Fixer Upper when Joanna sent Chip into one of her storage units to find and pull out a large rustic farmhouse hanging fixture that she used in a client's home? It was a bit risky because there was so much good stuff in there, and of course it was in a box way in the back. In typical Chip fashion, he made a big fuss about how much stuff Joanna had crammed in there and how he was taking his life in his hands to reach the light she wanted. Shopping at Parrot Uncle is a little like going into a storage unit full of treasures (except there's no dust, no risk to life and limb and you can shop from the comfort of your home!) 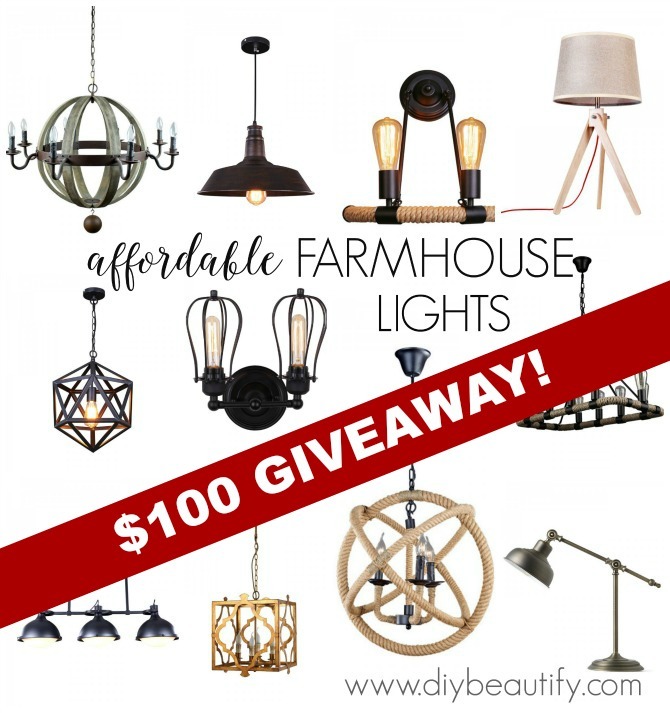 and I can guarantee you will find some beautiful rustic farmhouse hanging lights as well as beautiful lights for every room in your home! Parrot Uncle is a wonderful source for discount lighting. 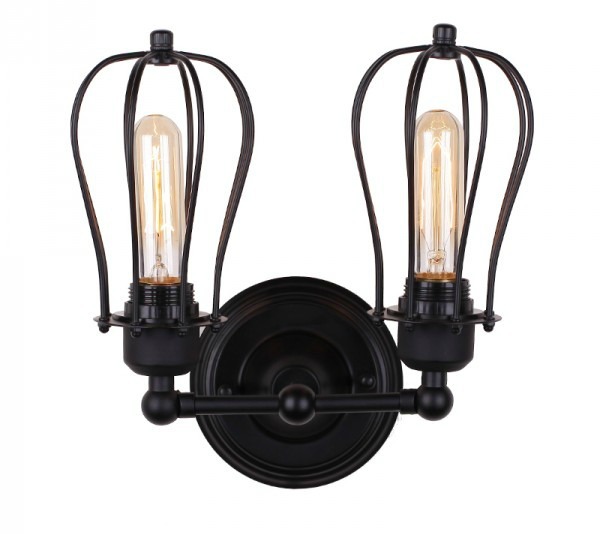 They have all styles of lights and all price points, but I especially love their vintage industrial lighting because these lights are the ones I can image using in my own home! They're a great combination of farmhouse style with a bit of an edge - think iron, scroll work, hemp rope, wood and more - and they are really affordable! I've got a lot to be thankful for, and appreciate you so much, so in the spirit of generosity and Thanksgiving, in just a little bit you are going to have a chance to win a light of your choice from Parrot Uncle valued at $100! Hang on, cowgirl - I know you're chompin' at the bit to enter the giveaway, but first let's take a closer look at these fabulous lights I'm talking about! 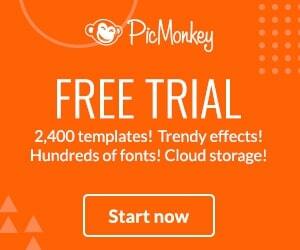 This post contains affiliate links for your convenience and all lights can be found at Parrot Uncle. You can read my disclosure policy here. I think this industrial cage pendant would look beautiful hanging over a dining table in a modern farmhouse kitchen. 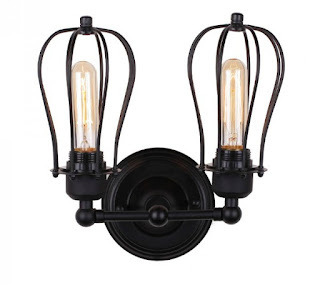 And I would definitely update my half bath with this vintage farmhouse wall sconce! 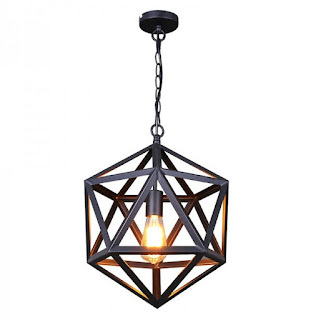 And how stunning is this hanging fixture? Over a table or in a living room with high ceilings, this is a statement piece sure to add farmhouse flair to your home! 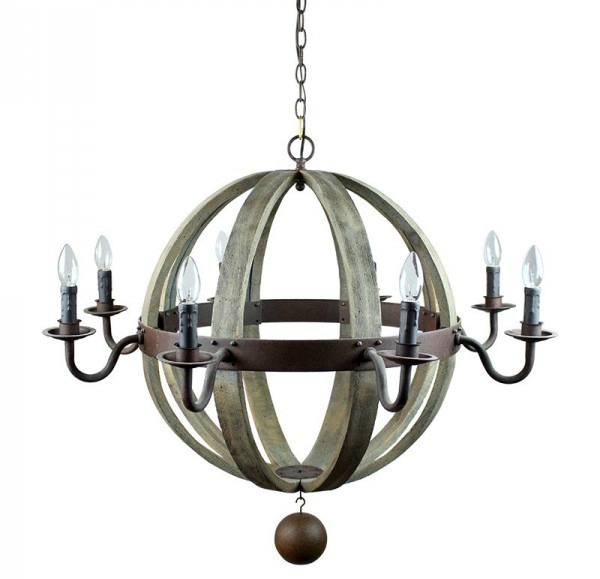 Whether you're in the market for foyer lights, vintage chandelier ceiling lights, island lights or bathroom fixtures, you are sure to find a fabulous fixture at Parrot Uncle! But now it's your turn. The giveaway form is below. One lucky reader will win $100 to spend at Parrot Uncle on the light of their choice! I'll be announcing the winner next Monday, November 23. There can only be one winner, but everyone can save up to 50% off with their holiday sale, going on right now. And as a special bonus for you, if you purchase one of their new arrivals, take an extra 10% off using the code 10% (please note that additional 10% off is for new arrivals only). Thank you to Parrot Uncle for providing the light for this giveaway. 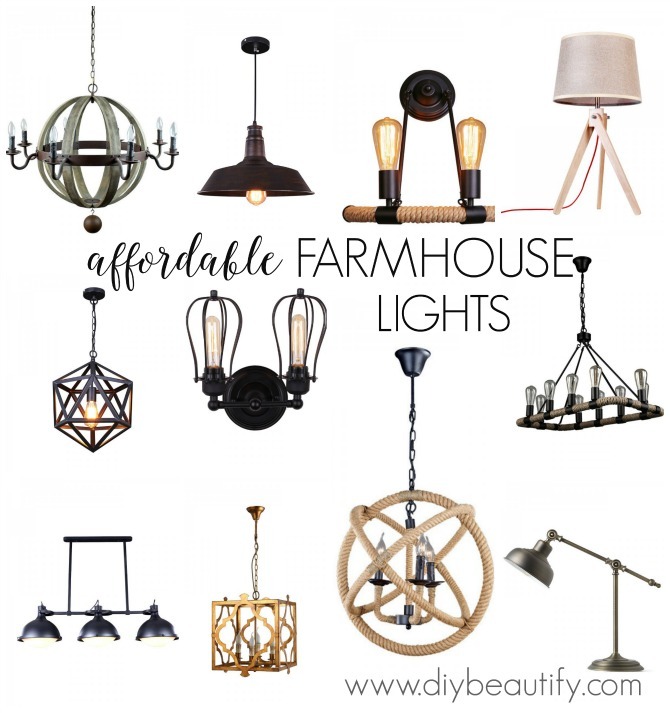 All opinions on farmhouse lighting and home decor are, as always, my own. 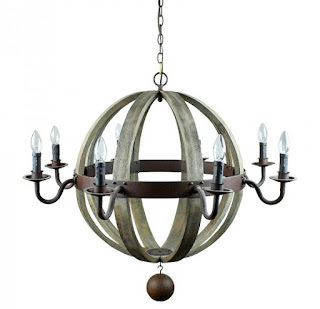 I love the wooden globe pendent light - it would look great in my dining room!! 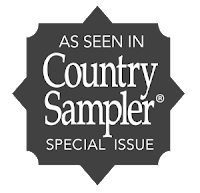 I agree Farm Quilter, that is a stunning light fixture and would be beautiful in any home with farmhouse decor! I enjoy reading your emails and posts, Cindy. I would pick the 3-light island light. Thanks Sharon, good luck with the giveaway! I love that island light too! I love this fan Modern Style Antique Bronze Ceiling Fan with Lucky Character Shade. The folding blades make it that much more attractive. Oh wow -- I went to their website and it's seriously hard to choose a favorite. I'm a HUGE fan of the Globe Shaped Wooden Pendant for my kitchen nook as well as tons of the pendants that would like nice above my bar. Some of their sale items are VERY affordable, too! They have lots of lights I love! I'm not a rustic farmhouse decorator, but so many of the lights could be used in all styles. I'd love one of these to go in my dining room to pair with my farmhouse table & ghost chairs 😍! Hope I win. I love the lighting from Parrot Uncle. 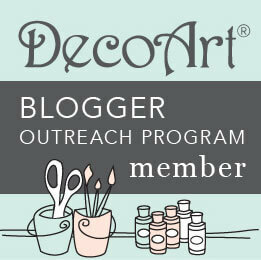 Your blog is fun to follow. I am looking at a light for my lake house and I see several that would look lovely. Plus it is my birthday the day of the giveaway. Now that could be an awesome surprise. That would be a great surprise Karen, Happy Birthday and good luck! 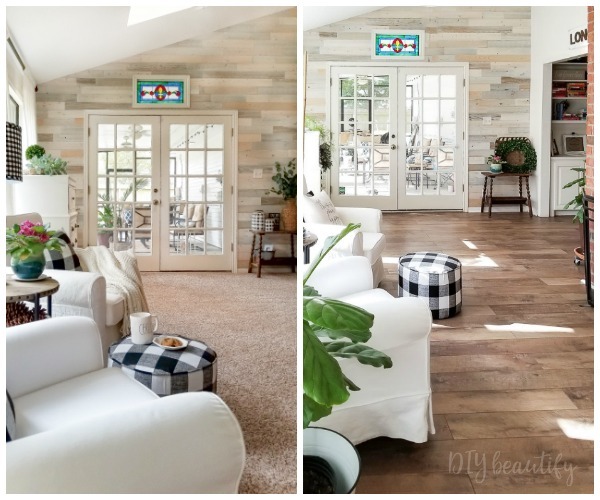 Love every single one of the light fixtures you highlight in this post. Thanks for the awesome giveaway! Thanks Tasha, I agree that the lights are fabulous! Good luck! Great farmhouse lighting! Thank you so much for the giveaway!